So many events, so little time! It's Friday and as always, there's plenty to do in the Magic City. Here are a few events, new menus, and happy hour offers that we think are worth checking out! Many of these features have a charity component to them that make that just that much more special. Hope to see you at a few! The beautiful rooftop venue at the Kimpton EPIC will host the Cayman Islands Seven Fathoms Rum Challenge on Monday 8/27, where six of Miami’s top bar experts will “shake it” for a cause! Celebrating its third year in Miami, the cocktail fundraiser will bring a taste of Grand Cayman to the Magic City and will raise funds to rebuild Caribbean after hurricanes. Starting at 6:30PM, the Cayman Islands Seven Fathoms Rum Challenge will showcase an “EPIC Battle of the Mixes” where local bar experts will compete to create unique Seven Fathoms cocktails and compete for a chance to win a Cayman Airways trip to Grand Cayman to experience the prestigious 2018 Cayman Cocktail Week. Participating bars include Bar Alter, Sweet Liberty, Minnow Bar, Broken Shaker, Area 31 and The Social Club. The event is open to the public (21 years or older) and will feature small bites, Seven Fathoms Rum specials, Caribbean beats, a Cayman Airways raffle, and more. A portion of the evening’s proceeds will benefit the Caribbean Tourism Organization Hurricane Relief Fund, a GoFundMe campaign dedicated to help rebuild the Caribbean after hurricanes. This is the third year that Cayman Islands Department of Tourism hosts this competition in Miami. They consider this city an important cocktail hub, with very strong talent, to bring back and showcase in the islands’ most important culinary and cocktail events (Taste of Cayman and Cayman Cocktail Week). A food & wine experience at the ballpark. Enjoy a selection of Riboli Family Wines and delicious food pairings, for just $30. Or get the ultimate couples package for just $50! The event begins once gates open through the end of the 3rd inning. Macerated Ginger Blueberries with Torn Angel Food Cake "Coral"
Must be 21 years of age or older to purchase an event ticket. Grab your tickets here. 1-800-LUCKY, known for their seven food vendors and nightly music, is the best spot to get your drink on with their happy hour specials. Monday through Friday from 4PM to 7PM, stop by to enjoy drink offers including: Draft beer/wine ($4), Sake ($5), Wells ($6) and Specialty Cocktails ($8). The fun doesn't stop there! Ladies, let's get lucky on Thursday nights with free drinks from 9PM to midnight while you enjoy the weekly Thursday party, "Ripe Fruit" starting at 8PM and featuring the sounds of Craze, Walshy Fire and Louie Arson. Cheers! No. 3 Social becomes Miami’s most loved music venue for Wild Wednesdays starting August 22. With Hip-Hop by N.OK and Ketel One drink specials all night, #humpday just got a little more exciting. Stop by for Social Hour from 5 – 7 pm and bask in the sounds of the roof! No.3 Social introduces Wynwood’s first and only rooftop bar and lounge, where art, culture and music are free to intertwine. The concept pays homage to street foods from around the world, while incorporating the flavors of Florida under the culinary direction of Norman Van Aken. The space also features an extensive bar program, including homespun craft cocktails using local ingredients, an eclectic wine list, and locally crafted beers. Start your Halloween celebrations on Saturday, September 8 at 1 Hotel South Beach with a rooftop cocktail mixer/fundraiser, which serves as the first prelude event to Haunted Hauteness. 1 Hotel South Beach kicks off the enchanting season with the Haunted Hauteness Launch Party, in which guests will have the opportunity to purchase Early Bird tickets to the extravaganza at $75. The main event takes place on Saturday, October 20 at Macaya Gallery in Midtown Miami. Haunted Hauteness is an all-inclusive spooky luxurious bash featuring food stations, open bar, DJs, VIP and model lounges and live entertainment, which benefits the Miami Model Citizens (MMC) - a South Florida organization headed up by President Ben Wilson, made up of the fashion business’ most dynamic trailblazers focused on making an impact through charity and volunteers for animals and children while promoting health and wellness. Tickets for Haunted Hauteness in October will begin at $100 at the door. RSVP to 1 Hotel South Beach here. This event has NO COVER and is open to the public. Bulla Gastrobar is now offering new refreshing dishes and cocktails that will keep guests cool during the summer season. Take a trip to Spain with new dishes like the Escabeche de Salmon, Clams with Pork Belly, Branzino con Kale, and more. Guests are also invited to sip on Bulla’s featured summer cocktail, the Shattered Pineapple, which is made with Martin Millers Gin and shaken with a pineapple cucumber purée plus lemon juice, then poured over ice. For an Instagram-worthy drink, the new Bougie Palmer cocktail is the perfect fit with Tito’s vodka, oolong peach tea, and dried lavender syrup - garnished with a lemon wheel and lavender sprig. Kiki on the River is celebrating the "End of Summer" with a weekend run of Labor Day Weekend festivities. From a Friday Aperol Spritz Social Happy Hour, to a Brazilian Themed “Mykonos Meets Florianopolis” Saturday Day Party, to free docking for Labor Day, Kiki’s got you covered. Kiki on the River is hosting an Aperol Spritz Social. Say goodbye to summer with refreshing $10 Aperol "Garibaldi Sbagliato” Spritzes, light bites and riverside breezes. Friday, August 31st from 5:30 to 7:30pm. Saturday, September 1st from 2 to 5pm. 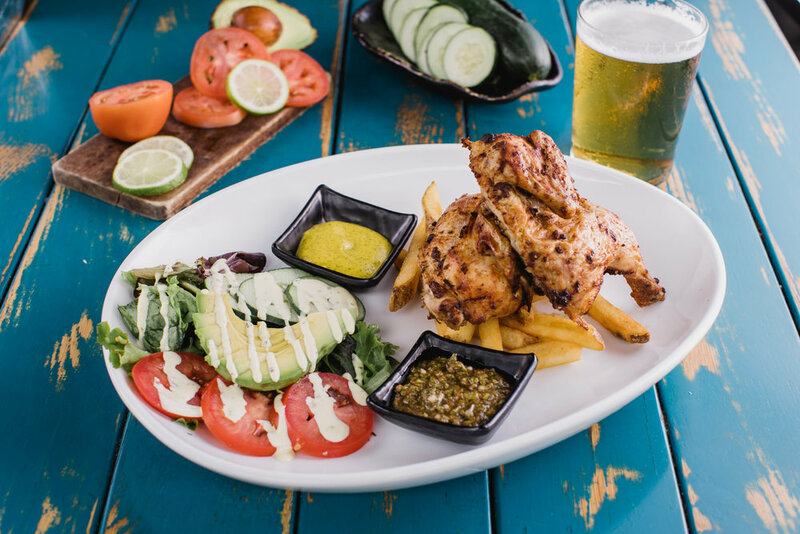 At both locations in Kendall and Doral, Pisco y Nazca invites guests to dive into summer and discover seasonal flavors with their all-new menu items. The dishes showcase a modern twist on traditional Peruvian cuisine and include the Quinoa Capresa, Papas A La Huancaina, the Tiradito de Salmon, and more. The menu also features two new dessert items - the Crema Volteada and Torta de Chocolate.